The trial period will be one week from the receipt of the instrument. Our range of DS-11 Series instruments allow for any combination of 1 uL UV-Vis, cuvette UV-Vis and integrated fluorescence. Most of our free trial instruments are the DS-11 FX+ model which include all three measurement modes integrated in one compact instrument. The DS-11 FX+ enables measurements across the full dynamic range of the instrument during an evaluation (0.0005 – 37500 ng/uL dsDNA). Please select a free assay kit from the form below if your Free Trial is a DS-11 Series instrument or the QFX fluorometer. 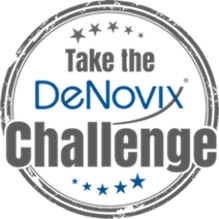 During the trial, a DeNovix specialist will follow up to see if you have any questions about the applications or features of the instrument you are testing. Please test non-radioactive samples only. After 1 week, please decontaminate and ship the instrument back using the supplied shipping label.